Reuters: Toshiba plans to outsource fabrication of advanced system chips to Samsung and GlobalFoundries, where Samsung will likely handle low-cost fabrication of Toshiba's mainline image-processing chips. 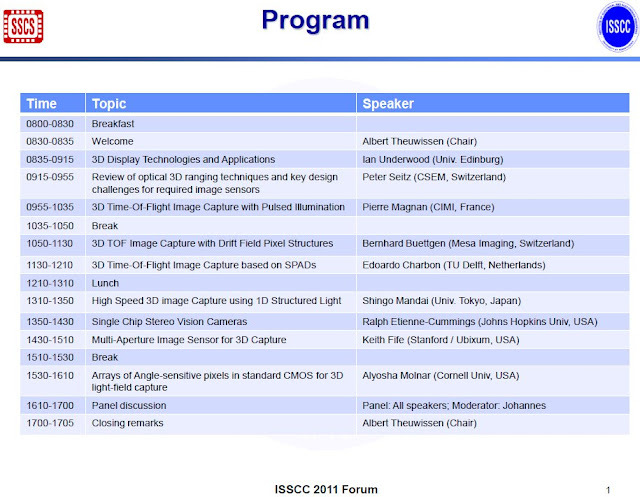 Albert Theuwissen continues to share his impressions from Electronic Imaging 2011 conference. 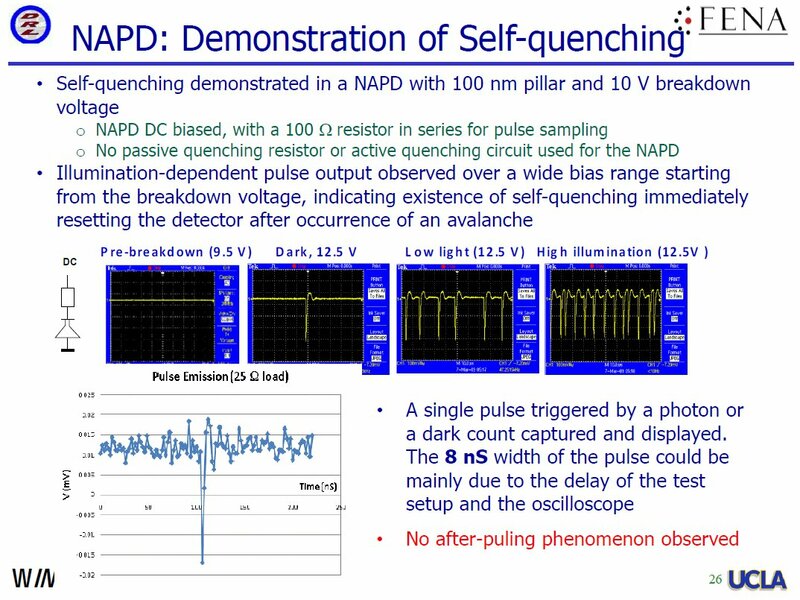 The concluding part talks mainly about Toshiba paper “Dark noise in a CMOS imager pixel with negative bias on transfer gate”, by Hirofumi Yamashita et al. 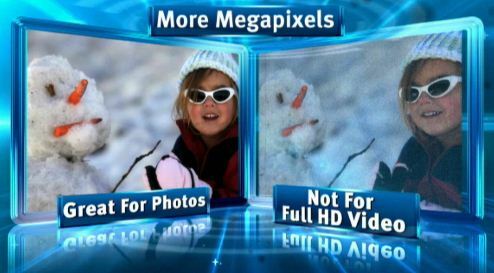 The negative bias is said to greatly reduce hot pixels, but increase number of warm pixels. The solution is not too surprising - reduce electric field between Tx gate and floating diffusion. Toshiba presents more details about its 14MP 1/2.3-inch BSI sensor, including its part number TCM5101CL and the block diagram. 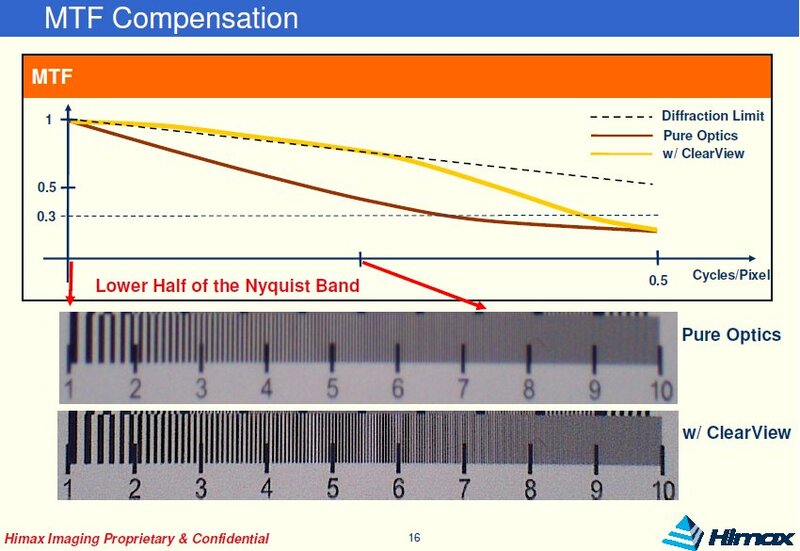 Toshiba announced the sensor over a year ago, but so far the details were quite sketchy. The sensor has 8 LVDS lanes, something that only Omnivision offered in its recent 10MP sensor. Toshiba sensor can run at 1080p/60fps rate or at 15fps at full resolution. 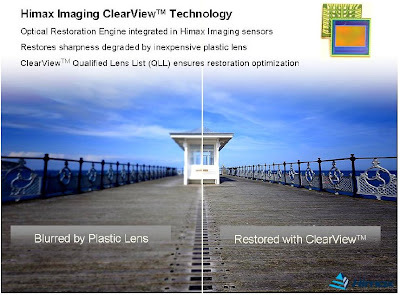 EETimes: Tessera announced reorganization of its Imaging & Optics segment including a reduction of its Imaging & Optics employees that is anticipated to be up to 15% of the company's worldwide employee base. Imaging & Optics revenues were $9.2M in Q4 and $37.3M for full year 2010. For Q1 2011 Imaging & Optics revenues are expected to be approximately $11M to $12M, out of that license fees revenues are expected to be approximately $6.5M to $7.0M and products and services revenues are expected to be approximately $4.5M to $5.0M. This compares to Imaging & Optics royalties and license fees revenues of $3.1M and products and services revenues of $5.4M in the Q1 2010, which totaled $8.5M for this segment. 4. Jan 27 - Tessera starts laying off employess in I&O. While "15% of Tessera worldwide base" is affected, if taken in just the percentage in I&O the total percentageis much higher just within the I&O group." Business Wire: ON Semiconductor and Cypress announced that a definitive agreement has been signed for ON Semiconductor to acquire the Image Sensor Business Unit (ISBU) from Cypress in an all cash transaction for approximately $31.4 million. The transaction is expected to close by the end of the first quarter of 2011, subject to customary closing conditions. ON Semiconductor’s current products target one dimensional image sensing with particular focus on contact image sensing and ambient/proximity sensors. Once the acquisition is closed, the company will have a complete image sensing product offering between 1D and 2D sensors and across multiple end-markets. Pursuant to the agreement, ON Semiconductor is expected to acquire approximately 100 patents and patent applications related exclusively to the business and receive appropriate intellectual property licenses from Cypress Semiconductor in order to continue to conduct and grow the business. As part of the transaction, approximately 80 Cypress Semiconductor ISBU employees will join the ON Semiconductor organization. Thanks to T.B. for sending me the link! Update: EETimes gives some background information on ON Semi recent acqusitions. “Optimizing quantum efficiency in a stacked CMOS sensor”, by Lumiense Photonics, HanVision Co., and Alternative Vision Corp. Presentation was done by Dave Gilblom of Alternative Vision Corp.
Varioptic has completely re-designed its web site and announced the second generation of its liquid lens. The B617 lens is the first offering in the “Baltic” family of products that integrates Optical Image Stabilization and Autofocus functionality in the same element. 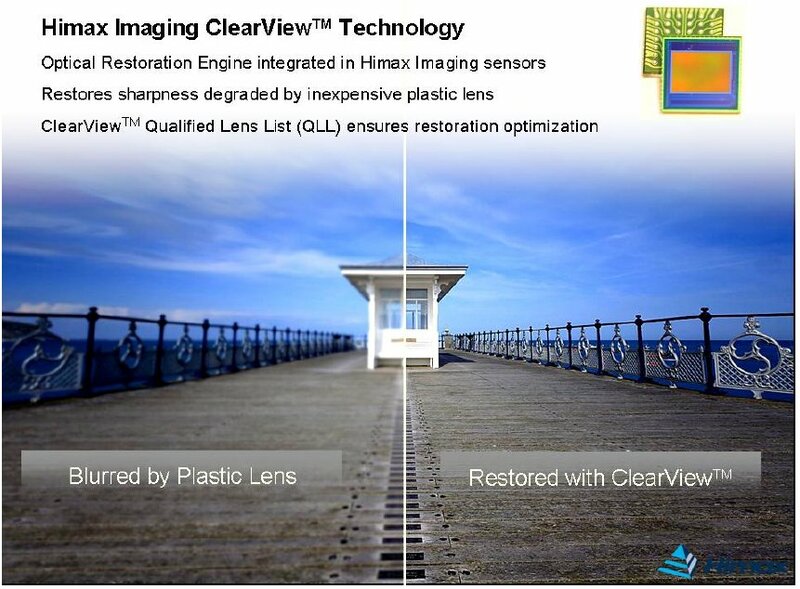 The new lens is said to use up to 90% less power than VCM actuator. 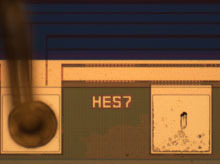 The B617 lens will start sampling in April 2011. Chipworks teardown of Nikon D7000 mid-range DSLR reveals that it uses Sony IMX071 sensor. The 16.2MP sensor has 4.8um pixels. Albert Theuwissen starts his report series from Electronic Imaging 2011 conference. 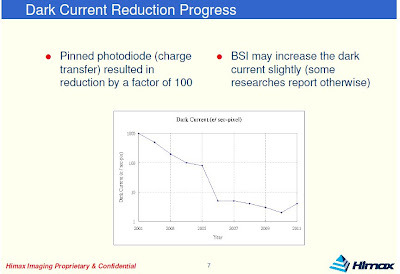 The first post talks about "A prototype high-speed CMOS image sensor with 10,000,000 burst-frame rate and 10,000 continuous-frame rate" by Tohoku University, Japan. The original paper link is here. BBC News: The team at Surrey Satellite Technology Limited (SSTL) in Guildford goes to use Android-based smartphone to control 30cm-long nano-satellite and take pictures of the Earth in a space mission later this year. Chris Bridges from the Surrey Space Centre said: "If a smartphone can be proved to work in space, it opens up lots of new technologies to a multitude of people and companies for space who usually can't afford it. It's a real game-changer for the industry." Thanks to CDM for the link! Update: Electronics Weekly too runs an article on this project. International Business Time: Robert W. Baird analyst Tristan Gerra believes there is an increasing potential for the iPhone 5 to use two image sensor suppliers. 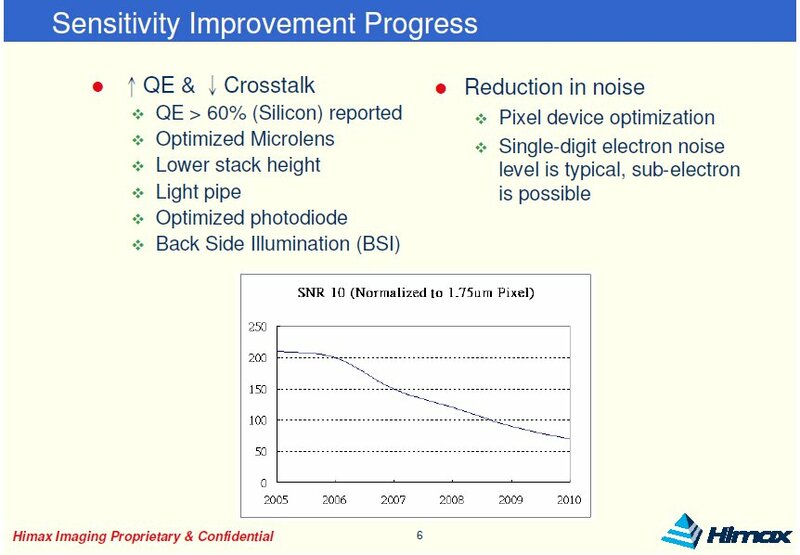 "We downgrade OmniVision to 'neutral' based on our belief there is a higher likelihood the iPhone 5 could use two CMOS image sensor suppliers in order to address continued supply constraint concerns. While Omnivision remains well positioned as a leading supplier of CMOS image sensors, risk/reward ratio becomes less attractive under a dual-sourcing scenario," said Gerra. The second likely iPhone 5 sensors supplier is Sony, which also supplies sensors to Nokia, according to the article. What is the influence of temperature on the PTC? - Read the answer in the latest Albert Theuwissen's post in his Harvest Imaging blog. Business Wire: BAE Systems announced that it has entered into a definitive agreement to acquire privately held Fairchild Imaging. BAE Systems currently owns 8.7% of the equity of Fairchild Imaging and, upon completion of the acquisition for a cash consideration of approximately $86 million, will have acquired all of the remaining outstanding equity. "The addition of Fairchild Imaging’s advanced electronic imagery technology will support enhanced night vision capability for both airborne and land forces applications. It also progresses BAE Systems’ focus on providing our customers with higher quality image solutions with lower size, weight, and power characteristics, helping soldiers to complete their missions more safely and effectively," said Linda Hudson, president and CEO of BAE Systems, Inc.
Fairchild Imaging president Charles Arduini stated, "We look forward to becoming part of BAE Systems to further enable Fairchild Imaging to deliver our low-light scientific CMOS (sCMOS) imaging technology for the benefit of the soldier. The simultaneous low-light, wide dynamic range, high definition video of sCMOS will provide U.S. and NATO forces with the ability to see better than the enemy – in both day and night conditions." Fairchild Imaging employs approximately 150 people at its facility in Milpitas, California, and upon successful closing of the acquisition, will become part of BAE Systems’ Electronic Solutions sector, headquartered in Nashua, New Hampshire. The acquisition is expected to close in the first half of 2011. Thanks to D.G. for sending me the link! Fairchild's outstanding equity is held primarily by entities affiliated with The Carlyle Group and by a number of current and former employees. In 2009 the company generated revenue of $42.6M. Before It's News, Technology Review: Researchers from Northwestern University and the University of Illinois at Urbana-Champaign have developed a curvilinear eyeball camera which has a 3.5x optical zoom, takes sharp images, is inexpensive to make and is only the size of a nickel. "Dynamically tunable hemispherical electronic eye camera system with adjustable zoom capability." Earlier eyeball camera designs were incompatible with variable zoom because these cameras have rigid detectors. The detector must change shape as the in-focus image changes shape with magnification. Huang and Rogers and their team use an array of interconnected and flexible silicon photodetectors on a thin, elastic membrane, which can easily change shape. This flexibility opens up the field of possible uses for such a system. The camera system also has an integrated lens constructed by putting a thin, elastic membrane on a water chamber, with a clear glass window underneath. Initially both detector and lens are flat. 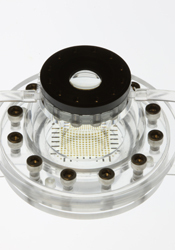 Beneath both the membranes of the detector and the simple lens are chambers filled with water. By extracting water from the detector's chamber, the detector surface becomes a concave hemisphere. 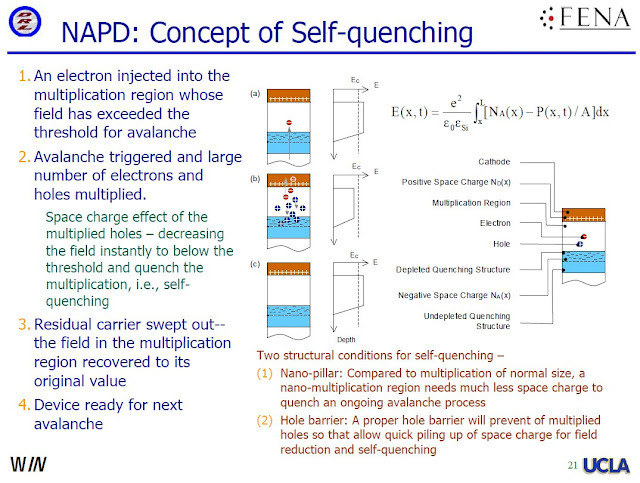 (Injecting water back returns the detector to a flat surface.) Injecting water into the chamber of the lens makes the thin membrane become a convex hemisphere. To achieve an in-focus and magnified image, the researchers actuate the hydraulics to change the curvatures of the lens and detector in a coordinated manner. The shape of the detector must match the varying curvature of the image surface to accommodate continuously adjustable zoom, and this is easily done with this new hemispherical eye camera. Nanowerk: Imec presents hyperspectral cameras, smart lenses at SPIE Photonics West on January 25-27, 2011 developed within its NVISION program. Hyperspectral cameras divide the light spectrum in many small wavelength bands. Today's hyperspectral cameras are bulky and slow and very expensive. This makes them only suitable for research purposes. However, they show a huge potential in many application domains. Imec's research into hyperspectral imaging aims at developing a high-speed, user-friendly, compact, flexible and cost-effective MEMS-based solution, relevant for industry, agriculture and medical practice. In smart lenses imec embeds micromirror arrays into the optics of cameras to make a very compact, lightweight, high quality and cheaper zoom lenses. By controlling the tilt angles of individual micromirrors in the array, the focal distance can be varied and a zoom lens without any macro-physical movements can be made. 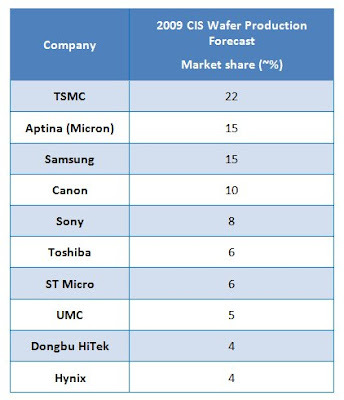 Digitimes: Largan forecasts that 8MP will become the mainstream resolution in camera phones in the second half of 2011. As most first-tier handset vendors are set to launch new models at the end of the second quarter and the beginning of the third quarter, most of Largan's shipments are expected to turn to 8MP, up from less than 10% currently. 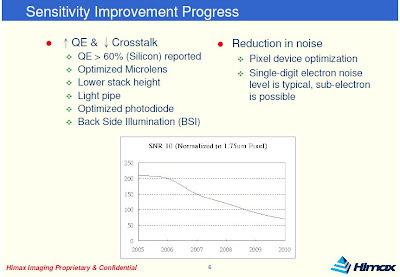 If Largan is correct in its predictions, it means that the mainstream phones are switching from 1/4" sensors to 1/3" ones, as most of the major companies are relying on 1.4um pixels as the current technology mainstream. Thanks to R.S. for sending me the info! Himax Imaging CTO and founder Sergi (Chi-Shao) Lin gave a presentation on the industry progress at the Workshop on CMOS Applications in Astronomy and Space Sciences held on Jan. 5-6, 2011 at Tsing Hua University, Hsinchu, Taiwan. There are many other interesting presentations on the workshop page, well worth looking! WSJ: Silver Lake, a private equity firm, has invested an undisclosed amount in PrimeSense. Previously, PrimeSense raised $9M from two Israeli venture capital firms, Genesis Partners and Gemini Israel Funds, and later a $20.4M round of financing led by Canaan Partners. Globes adds that Silver Lake led the $50M funding round, with existing investors Gemini, Genesis, and Canaan Partners, also participating in the current round. Chipworks' CES team meet Fujifilm representative to talk about the company's new 16MP 1/2-inch EXR BSI CMOS sensor. So far Chipworks has only seen BSI sensors from Sony, Omnivision and Samsung in the field. Fujifilm sensor is the fourth. The sensor is said to be designed and manufactured by FujiFilm. The company only uses it in its own branded cameras and has no intention of selling it on the open market and trying to compete with Sony or Omnivision. Globes, e2v: TowerJazz said that e2v has significantly increased the rate of production of its dental x-ray sensors based on TowerJazz’s 0.18um CIS process. Market sources estimate that the deal will be worth several million dollars in added revenue for TowerJazz per year, beginning with the current year. Over the past year e2v has been progressively increasing production on TowerJazz’s Fab2. e2v said that the fast growing dental X-ray sensor market, moving from film to digital and from CCD to CMOS technology, was worth $30M in 2009 and is expected to increase by 10-15% per year. I-Micronews: Yole Développement discusses the recent Ziptronix suit vs Omnivision and TSMC, quotes Ziptronix CEO Dan Donabedian saying in 2009: "Anyone running a low temperature oxide bonding process as part of their manufacturing scheme is likely to be infringing on our IP". Thanks to J.B. for sending me the link! Some background: PrimeSense has grown from 30 employees to 140 employees in three years. They doubled over the last year with the release of the Microsoft Kinect. ...Back a few years ago they considered the Time of Flight technology, but realized that the there was not a roadmap to reduce the cost of the sensors. So they turned to what they offer now, the IR LED and the standard VGA CIS ...from Micron / Aptina. 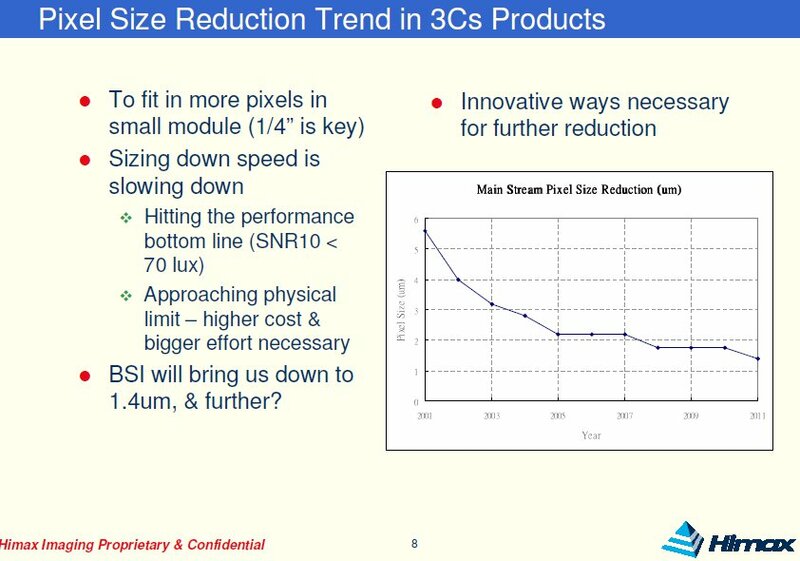 This was far cheaper as CIS devices had already been scaled up in wafer size and adopted in every camera phone, so the cost per chip for them was next to nothing. They were able to keep the BOM for the cameras cheap and focus on the image processing ASIC. PrimeSense sees gesture recognition as the future of home controls for things like heating and ventilation or lighting. They see a lower horsepower image processing engine needed to process a lower resolution image. By projecting fewer IR points into the room, they drop the resolution. But to recognize a simple on/off, raise/lower, gesture you do not need so much image processing horsepower. So the BOM for a home control system becomes very simple and cheap; an IR LED, a VGA CIS and a low end image processing engine." Meanwhile, Microsoft Kinect won CES Best of Innovation Award 2011 in Electronic Gaming Hardware category. ElectroIQ: Ziptronix filed a complaint of patent infringement against Omnivision and TSMC over infringement on several patents dealing with low-temperature oxide bonding. "On December 6, 2010, Ziptronix, Inc., or Ziptronix, filed a complaint against the Company alleging patent infringement in the District Court for the Northern District of California. The case is entitled Ziptronix, Inc. v. OmniVision Technologies, Inc., Taiwan Semiconductor Manufacturing Company Ltd., and TSMC North America Corp., Case No. CV10-05525. In its complaint, Ziptronix asserts that the Company has made, used, offered to sell, sold and/or imported into the United States products that infringe U.S. Patent Nos. 7,387,944 (“Method for Low Temperature Bonding and Bonded Structure”), 7,335,572 (“Method for Low Temperature Bonding and Bonded Structure”), 7,553,744 (“Method for Low Temperature Bonding and Bonded Structure”), 7,037,755 (“Three Dimensional Device Integration Method and Integrated Device”), 6,864,585 (“Three Dimensional Device Integration Method and Integrated Device”), and 7,807,549 (“Method for Low Temperature Bonding and Bonded Structure”). The complaint seeks unspecified monetary damages, fees and expenses and injunctive relief against the Company. The Company expects to vigorously defend itself against Ziptronix’s allegations. At this time, the Company cannot estimate any possible loss or predict whether this matter will result in any material expense to it." Thanks to anonymous commenter to Omnivision post from Jan. 6! Update: As said in the comments, there is a more detailed discussion of bonding techniques and potential Ziptronix advantage in Phil Garrou blog. EETimes: The U.S. Department of Transportation proposal calls for all new motor vehicles weighing less than 10,000 pounds sold in the United States to incorporate backup cameras by Sept. 1, 2014. The mandate will cause sales of new cars with rear-view park assist cameras in the country to quadruple, according to iSuppli, now part of IHS Inc.
iSuppli now projects that from 2011 through 2017, 71.2 million new cars in the United States will be sold with rear-view cameras for park assistance. The pre-mandate forecast predicted only 19.1 million for the same period. With the U.S. market beginning to accelerate dramatically in 2012, sales will rise 119.9 percent to 2.8 million units, up from 1.3 million units in 2011. Sales then will increase by 117.4 percent in 2013 to reach 5.98 million, and will climb another 91.1 percent in 2014 to hit 11.4 million. By 2017, a total of 17.1 million cars, representing the entire estimated new-vehicle fleet, will be sold with rear-view cameras in the United States. Business Wire: Aptina introduced its new 1/3-inch native 1080p60 HD video sensor with support for electronic image stabilization (EIS). The sensor can support all HD video modes (1080p60, 1080p30 and 720p60) without losing field of view. Leveraging a new 2.2um pixel design and Aptina's A-Pix technology, the new AR0330 is claimed to deliver excellent low-light performance, color and video quality. With its 3x3 on-sensor binning mode, the AR0330 also supports WVGA with high-speed capture options at 120fps and 240fps. In addition to high-end digital video performance, the AR0330 makes it possible to capture a 3.2MP still image due to its multi-aspect ratio format. The AR0330 supports multiple serial interface options, including four-lane HiSPi and four-lane MIPI. "We are thrilled by early responses from our customers, which we feel, confirm our belief that this is the best 2.2-micron pixel sensor they have ever seen", said Sandor Barna, Vice President and General Manager of Aptina’s consumer camera business unit. The AR0330 is offered in a ceramic LCC package, a new small form factor CSP package, or in bare die for module integrators. The Aptina AR0330 is currently sampling with mass production expected in Q2 CY2011. Thanks to S.M. for sending me the video link! PR Newswire: Omnivision introduced the OV10810, a 10MP CMOS image sensor based on 1.4um OmniBSI pixel. The 1/2.5-inch OV10810 is designed to combine 10MP burst photography at 30fps with full 1080p HD video in a native 16:9 aspect ratio. 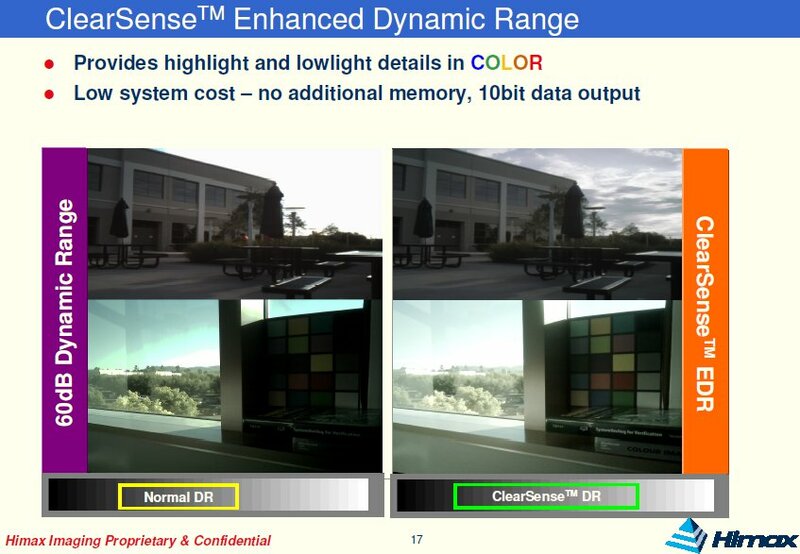 The new sensor targets digital still and video camera (DSC/DVC) hybrids and high-end smart phones. It features simultaneous capture of 10MP still images while recording video in 1080p HD. As a RAW sensor, the OV10810's integrated programmable scaler enables either 1080p or 720p HD video capture at 30 fps while maintaining full field of view (FOV). At 2.6MP resolution, the sensor operates at 60 fps with pixel binning, maintaining full FOV. At 5.3MP resolution with cropping, the OV10810 runs at 60 fps. The sensor supports up to 8-lane LVDS or MIPI interfaces for high data transfer rates. Softkinetic has adapted its iisu ("The Interface Is You") middleware to the Intel Atom Processor CE4100 to enable its gesture recognition for a wide variety of consumer applications, including interactive television and movie channel navigation, web browsing, video conferencing and gesture-based video games. Softkinetic also announced a collaboration with TransGaming to bring gesture-based video games to TransGaming’s on-demand gaming platform, GameTree TV. Hisense will feature a new smart 3D LED TV series that uses PrimeSensor and middleware that enables Internet access, picture browsing, video watching, listen to music and full body interaction through gesture control. Haier will show Haier’s multi-touch TV with smart network features, such as gesture control and network content sharing, using PrimeSense full body recognition and 3D sensing technology to control all kinds of smart terminals in the home. TCL will demonstrate the PrimeSense sensor and user interface for gesture control for TCL Television. Lenovo will showcase its multimedia centre that uses the PrimeSense 3D sensor and middleware for gesture interaction/control. Intel and Orange Vallee, a subsidiary of Orange/France Telecom, will demonstrate the Intel Atom CE4100 media processor based consumer electronics platform with Orange Vallee framework and applications that utilize PrimeSense solutions on a set top box environment. TI newly announced OMAP 4440 smartphone platform supports 1080p stereoscopic 3D imaging (S3D), and gesture recognition. The new OMAP works with two 12MP cameras in parallel to deliver high stereoscopic resolution photography, almost the same resolution as with 2D photography (it supports 20MP in single camera mode). "As [previous generation] OMAP4430 processor-based products hit the market in first half 2011, we're arming our customers with a huge performance boost via an easy migration to OMAP4440 processor for their next wave of exciting devices,", said Remi El-Ouazzane, vice president, OMAP platform business unit. The OMAP4440 applications processor will sample in first quarter 2011, with production expected by the second half of 2011. CNW: On the product side, Sony follows Panasonic steps with a year delay announcing two stereo camcorders: a high-end HDR-TD10E with two BSI sensors providing 1080x1920 x2 resolution, and a low-end MHS-FS3 Bloggie, also based on two sensors. But the most interesting announcement is 3D Still Image mode in the new DSC-TX100V, DSC-TX10, DSC-HX7V, DSC-WX9 and DSC-WX7 compact digital still cameras using just one lens and one imager. The cameras take two consecutive shots in different focus positions to calculate the depths, and then they create left-eye and right-eye images to produce a 3D effect. There is also The 3D Sweep Panorama feature producing panoramic pictures in one press-and-sweep motion. The high-speed burst of frames is stitched together using innovative processing techniques to automatically create 3D panoramas. Update: PC Magazine: iRobot AVA platform is using Primesense sensors too. PR Newswire: JVC announced GS-TD1 two lenses/two sensors stereo camcorder, quite similar to Sony stereo video camera offerings. Update #2: LA Times compares Kinect and Optrima platforms and writes that 8M Kinects have been sold in the first 60 days since its launch in November. Update #3: Forbes has an article on Optrima, Kinect, Panasonic. Omek is providing the middleware for Panasonic D-Imager. Update #4: Forex Yard: Primesense "is providing sensors for iRobot Corp's latest robots, including a new Roomba automatic vacuum cleaner that can actually 'see' dirt and head for it, rather than aimlessly trundling around the room." - another big market for 3D sensors. Business Wire: Samsung announces a camcorder with 5MP 1/4.1-inch BSI CMOS sensor "which records with twice the sensitivity of normal CMOS sensors, dramatically reducing noise and distortion while also enhancing recording quality in low-light conditions, so great quality video can be captured in any situation". Fujifilm announces its new EXR-CMOS BSI sensor technology, embedded inside few of the new cameras to be presented at CES 2011. "Our award-winning EXR sensor technology has been taken to a new level with the EXR-CMOS sensor, providing extremely sharp and clear images in all lighting conditions while offering high speed functions so consumers will never miss a shot with these cameras.” says Greg Poole, vice president Imaging Division, FUJIFILM Canada. The 1/2-inch 16MP sensor delivers 11fps at 8MP or 8fps at full resolution (dpreview, Fujifilm). Not much more is known about the sensor at this stage. The new Hynix CIS catalog dated Q1 2011 says that its first 1.4um pixel-based product, 3MP YACE5A1S SoC, is scheduled to start mass production in Q2 2011. The second 1.4um product, 5MP YACF4B1C raw sensor, is to go into production in Q3'11. Business Wire: PrimeSense announced that its Immersive Natural Interaction solutions will be embedded in WAVI Xtion, a next generation user interface device developed by ASUS for PC-based media centers. WAVI Xtion is scheduled to be commercially available during Q2 2011 and released worldwide in phases. In addition, ASUS also adopts PrimeSense solutions to introduce the world’s first PC-exclusive 3D sensing professional development solution, Xtion PRO, for software developers to easily create their own gesture-based applications and software. Xtion PRO is scheduled to be commercially available in February 2011. PrimeSense and ASUS are also working together to promote and support the OpenNI developer community with developer kits. Toshiba announced a series of measures to transform its System LSI business, with the goal of boosting profitability by switching to fabless and fablite models, effective on January 1, 2011. 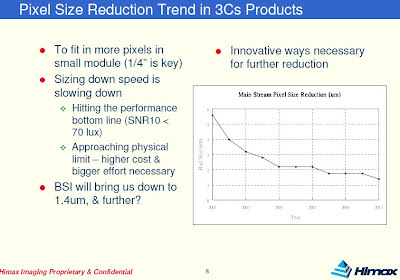 The main focus has been on promoting analog ICs, CMOS image sensors and digital SoCs, discontinuing unprofitable products, and restructuring the back-end process through consolidation and increasing overseas production ratio. The System LSI division will be reorganized into two: the Logic LSI Division, and the Analog and Imaging IC Division. The Analog and Imaging IC Division will concentrate on analog ICs and imaging ICs, particularly CMOS image sensors, and use existing production lines at Oita Operations, including 300mm wafer lines, and Iwate Toshiba Electronics Co., Ltd.